ANNUAL BUSINESS LUNCH IS A SELL OUT! 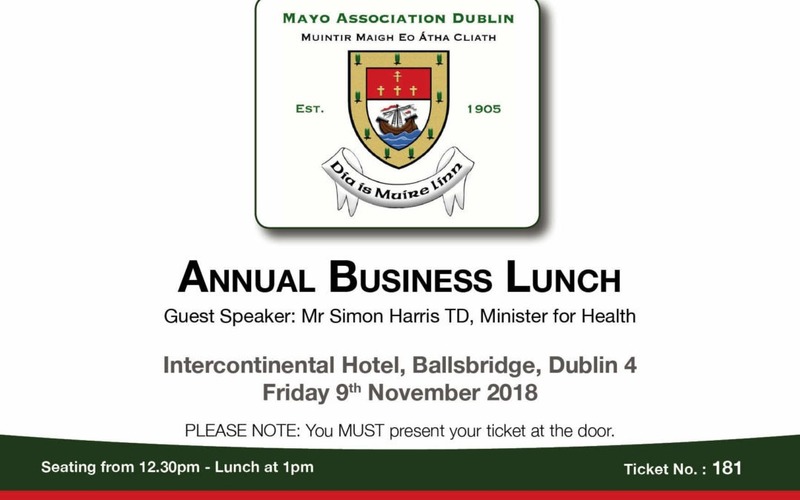 Mr Simon Harris TD, Minister for Health will be the guest speaker at our Annual Business Lunch, which returns to the Intercontinental Hotel on Friday 9 November. Having previously served as Minister of State at the Departments of Finance PER and Taoiseach with Special Responsibility for the OPW, Public Procurement and International Banking (incl. 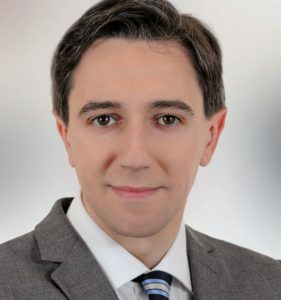 the IFSC), after being re-elected to the Dáil in the 2016 General Election as TD for Wicklow & East Carlow, Simon Harris was first elected to Dáil Éireann in 2011 as the youngest member of the 31st Dáil. The native of County Wicklow first became involved in politics through his work as a disability advocate and is committed to providing a strong voice on issues relating to special needs and mental health. Before entering politics, Mr Harris established the ‘Wicklow Triple A Alliance’, a charity to support children and families affected by Autism.